1) Absence of physical activity in form of exercises, yoga, aerobics, walk or similar work outs. 2) You eat more than your body burns. 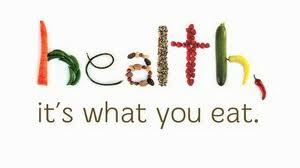 4) Improper DIET.. which of course plays an important role in maintenance of healthy weight. 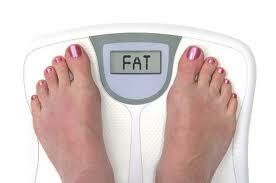 5) Your fat cells are more. Remember, the number of fat cells you have, remains constant through out your life. You become fat, when those cells increase in size and become thin, when they shrink. 6) If your parents have been obese, you are prone to be obese. when both the parents fall in this category, there are 80% chances that the baby will be obese. When only one parent is obese, there are 50% chances that the baby will be obese. 7) The way you were fed in the first two years of your life. (since your cells build up in that stage). 8) Over consumption of certain foods or absence of certain foods ( like over intake of fatty stuff or absence of foods rich in fiber etc.). 11) Lack of consistency in following your diet plan and working out. 12) When you have a medical condition, wherein losing weight becomes comparatively difficult e.g. thyroid, Diabetes etc. 13) Eating more since you do not understand your body's message- sometimes we feel thirsty only, but we tend to eat something (while our body doesn't need that extra intake. We misunderstand thirst for hunger, and thus put on extra pounds). To lose weight in a healthy way, contact: nutri.info14@gmail.com. We shall prepare a personalized plan for, closely monitor you and help you lose weight. Stay tuned to Diet Funda! While we all sit back and look at the IT companies booming, we realize that corporate life is the one which gives its populace maximum opportunities and favorable circumstances to attain utmost success in life and people leading this life are more dynamic and high octane; but the one who endures knows that it’s not all that rosy. Many times they have to work more than regular hours, skip meals when the work load is high or even work at late nights to achieve targets. To meet such demands of life, working people tend to overlook their health. Has his food palette changed in terms of quantity? Is he often irritated, depressed or restless? Has flatulence and bloating become a part of his life? These all are a few symptoms of an unhealthy life. People spend their health gaining wealth, and then have to spend their wealth to regain their health. The first most common problem faced by working mass is “stress”. Stress brings along with it many other problems viz. depression, aches, pains, diarrhea, constipation, nausea, dizziness, chest pain etc. which often affects our behavior, like one may start eating too much or too little. While eating too much (and thanks to corporate life, for it is innately blessed with a sedentary lifestyle) leads to obesity and other lifestyle diseases; eating less, on the other hand, makes one feel weak and low, thus again bringing down the ability to work, so more failures, more stress and the vicious cycle continues. Along with big fat salaries comes sedentary lifestyle and extra pounds of fat free!! Plus such individuals are either too busy or lazy to opt for workouts or walks. They all end up with diabetes, high cholesterol and sometimes blockages that obstruct their arteries like what filth does to a pipeline. Its then they realize that they should keep a check on what they eat, but at times it’s too late! So to lead a healthy life one must eat right. By right I mean, that much quantity and the kind of food one requires carrying out daily routines appropriately. During adulthood nutrients are required for the purpose of energy and for maintenance of body functions. Though there is no growth during adulthood, but proteins are required for the replacement of worn out tissues. One has to remember that if he is leading a sedentary lifestyle, he may be prone to various diseases like obesity, diabetes mellitus, metabolic syndrome or cardiovascular disease, so he has to keep a regular check on your weight and his lipid profile. A healthy life is like an investment, one is sure to get its returns in old age.